Philippine Airlines Boracay travelogue 2017! Walk the finest white sand, dive into clear waters, soak up the sun on the beach, pamper yourself in hotels, and dare yourself for some watersports. Experience beautiful Boracay! 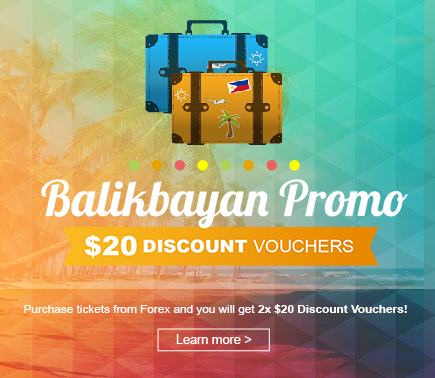 Purchase International Travel Tickets from Forex Travel and automatically receive 2 x $20 Forex Cargo Discount Vouchers for Forex Boxes valid for up to 3 months.